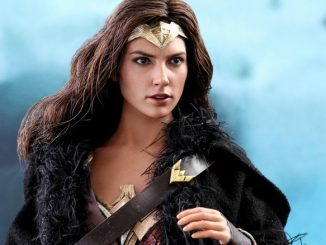 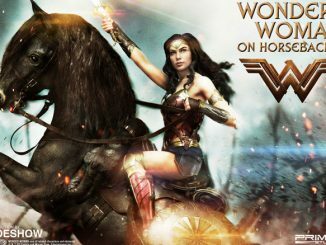 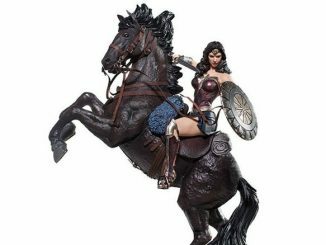 Diana Prince is dressed for battle with the Wonder Woman Polystone Statue. 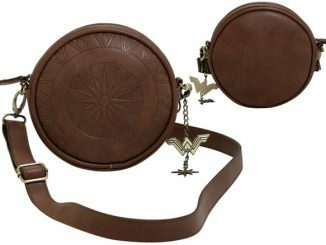 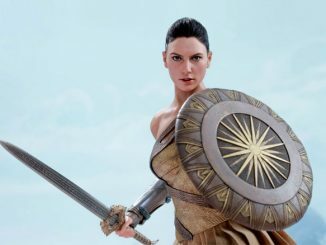 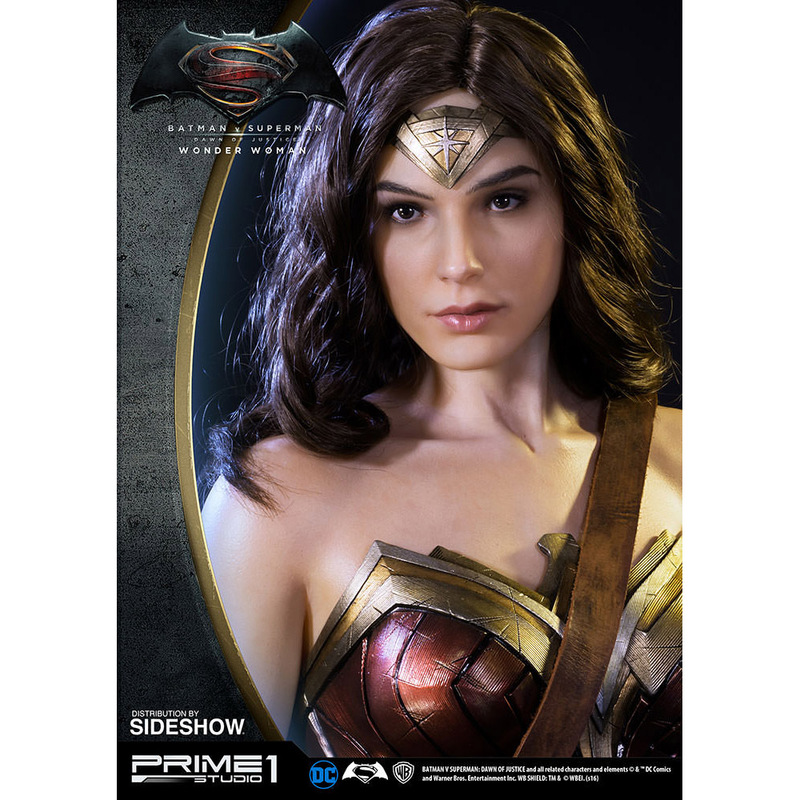 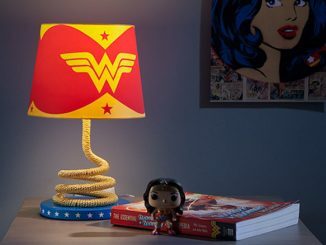 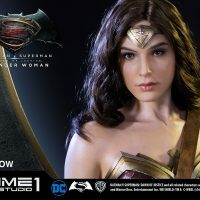 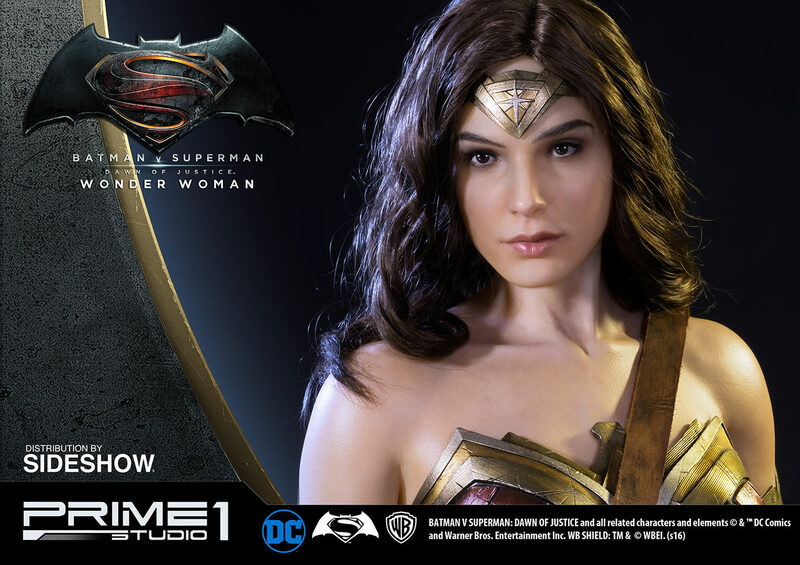 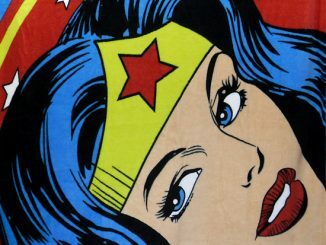 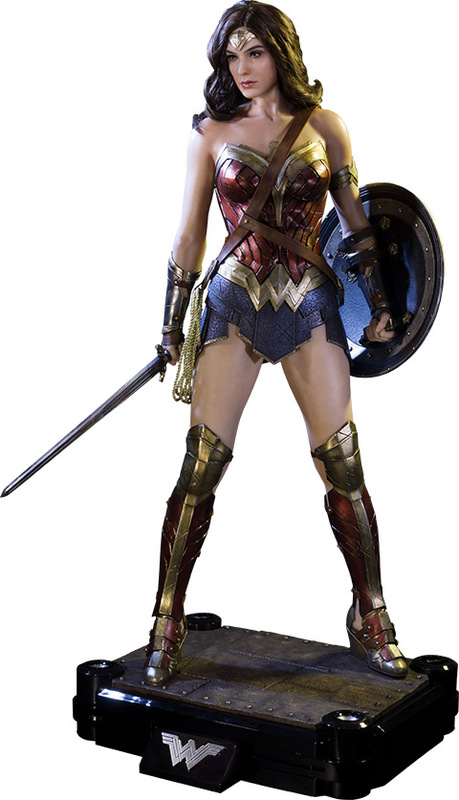 She’ll be on the big screen with her origin story in Wonder Woman but Gal Gadot’s Amazon warrior has already made a huge impression with fans after appearing in Batman v Superman: Dawn of Justice. 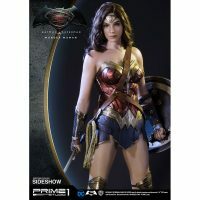 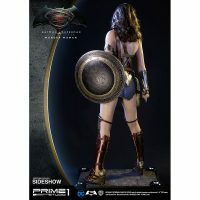 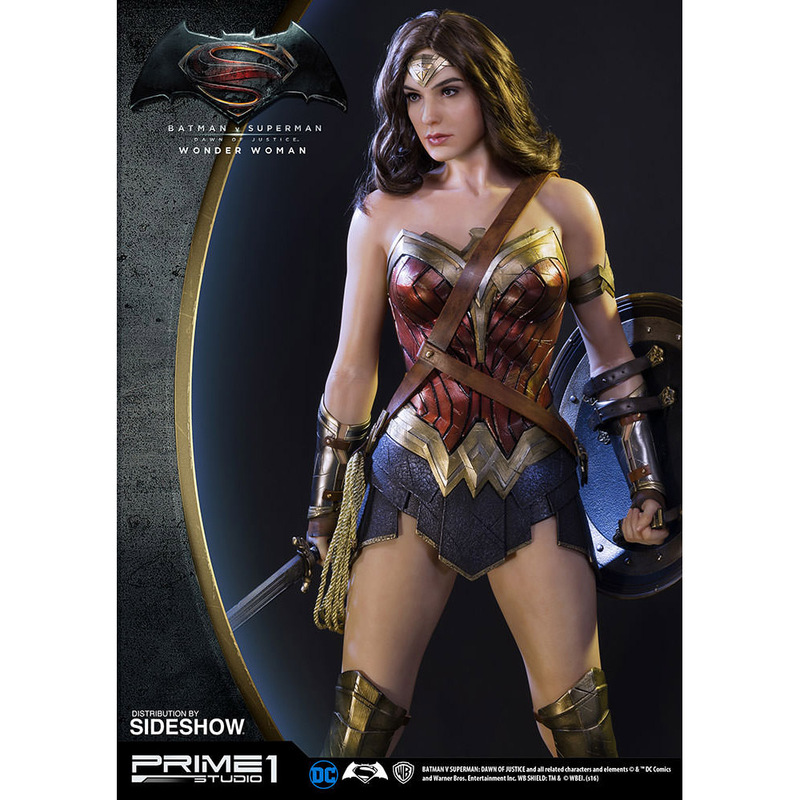 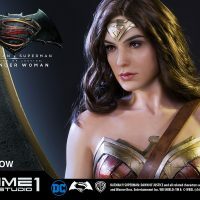 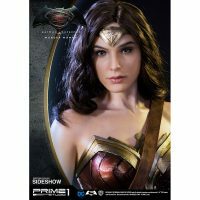 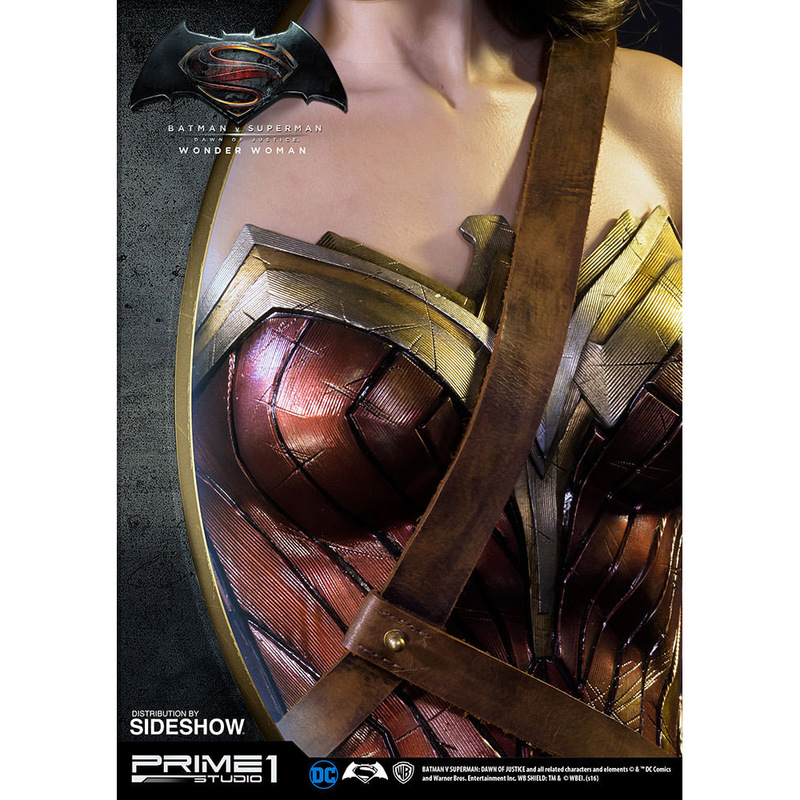 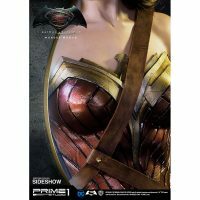 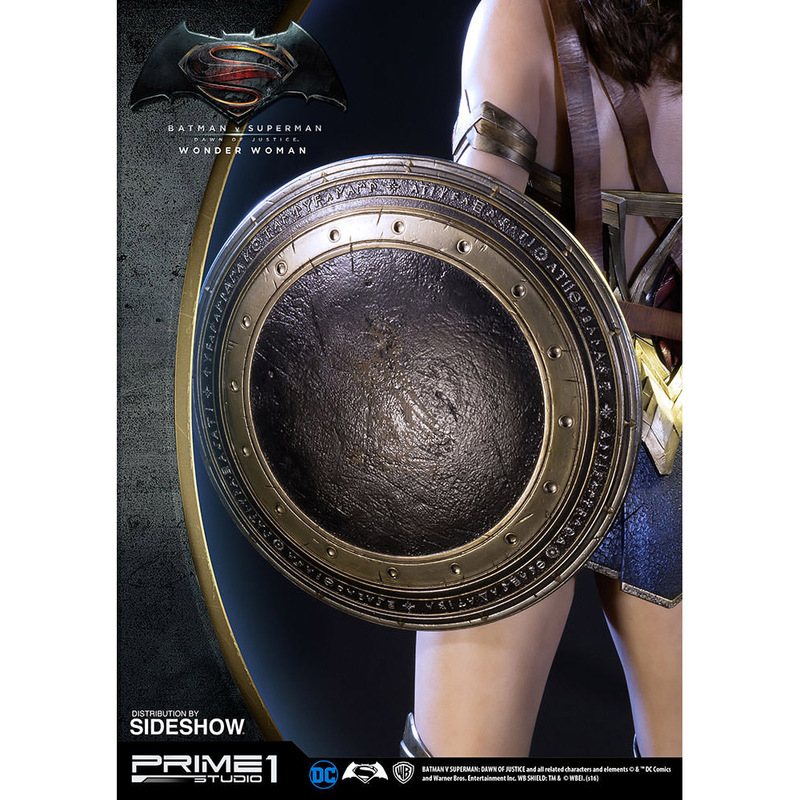 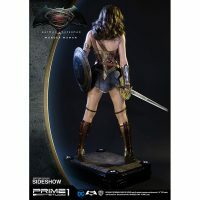 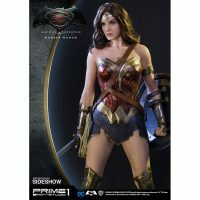 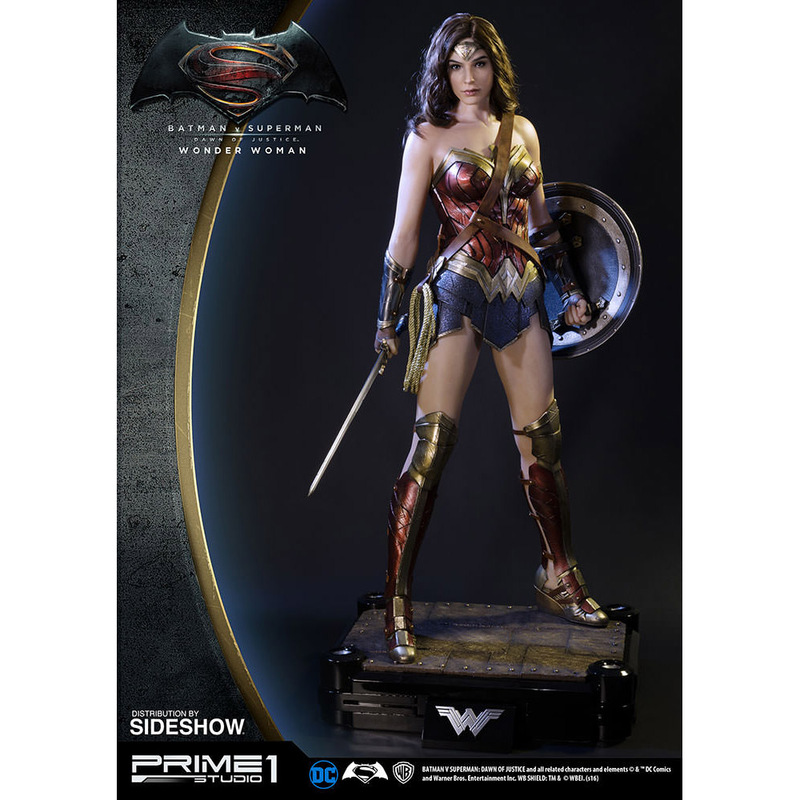 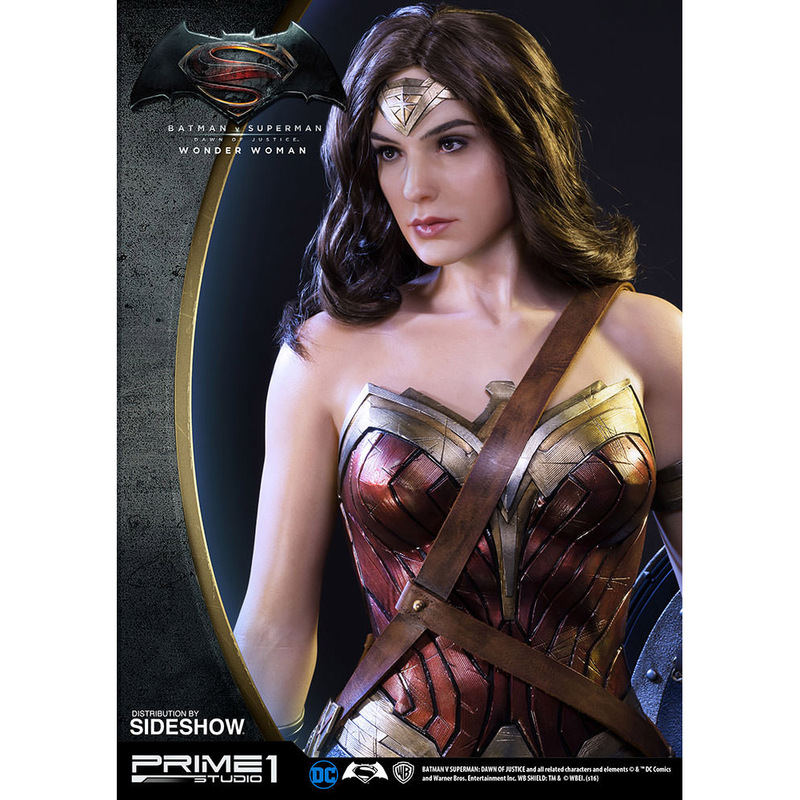 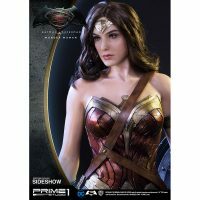 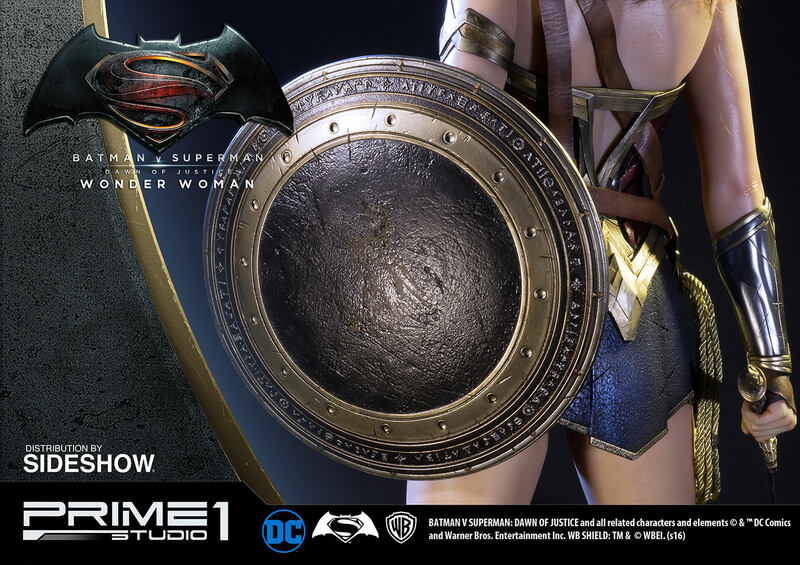 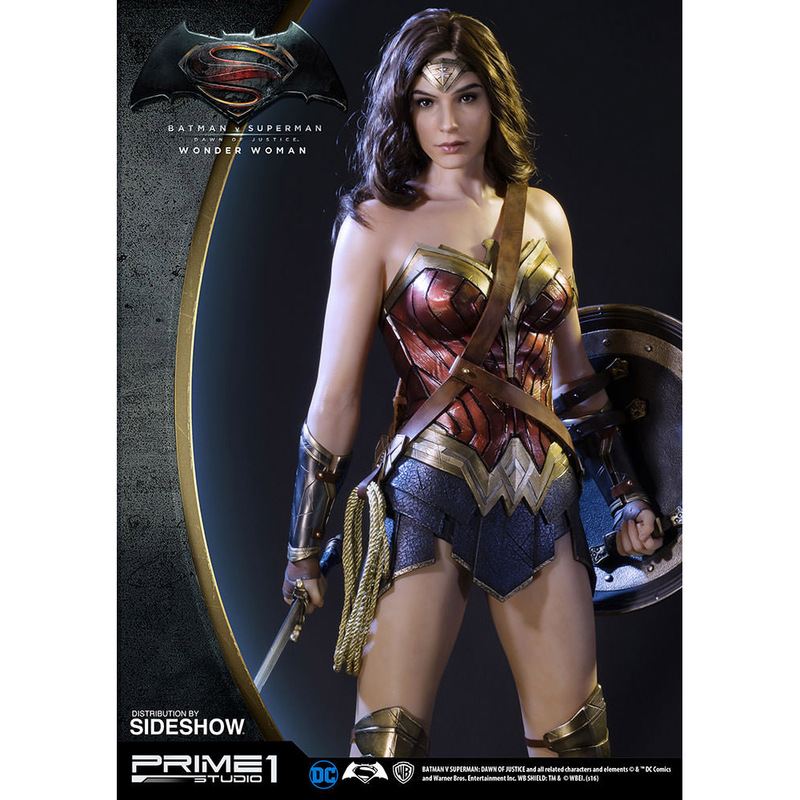 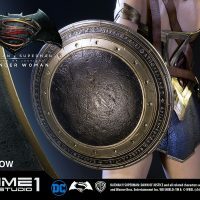 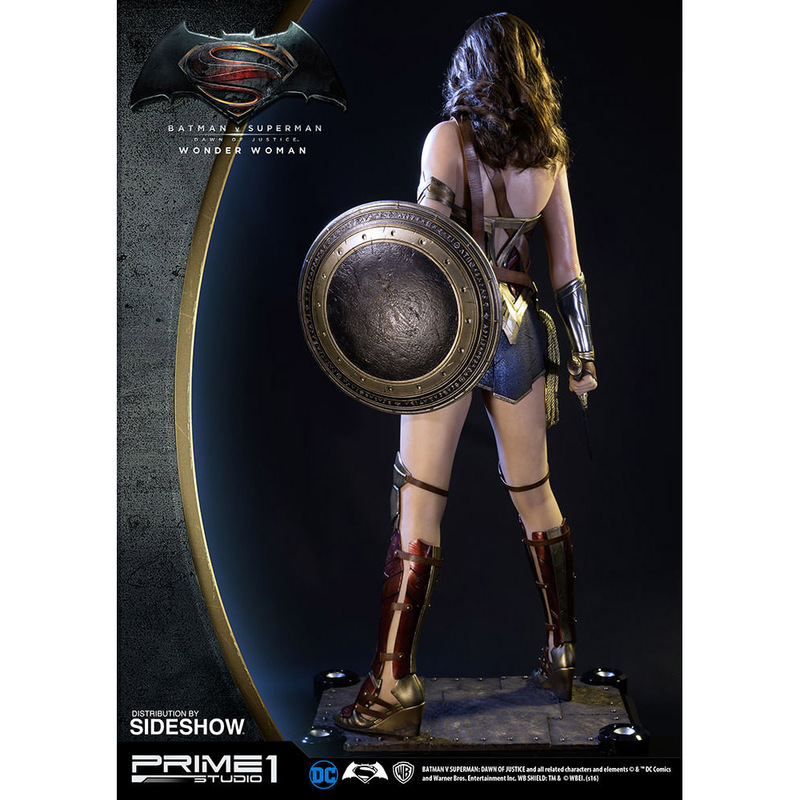 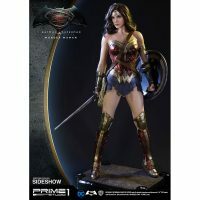 Based on her appearance in BvS, this polystone Wonder Woman statue stands approximately 40-inches tall and is armed for combat with her sword, shield, and golden lasso. 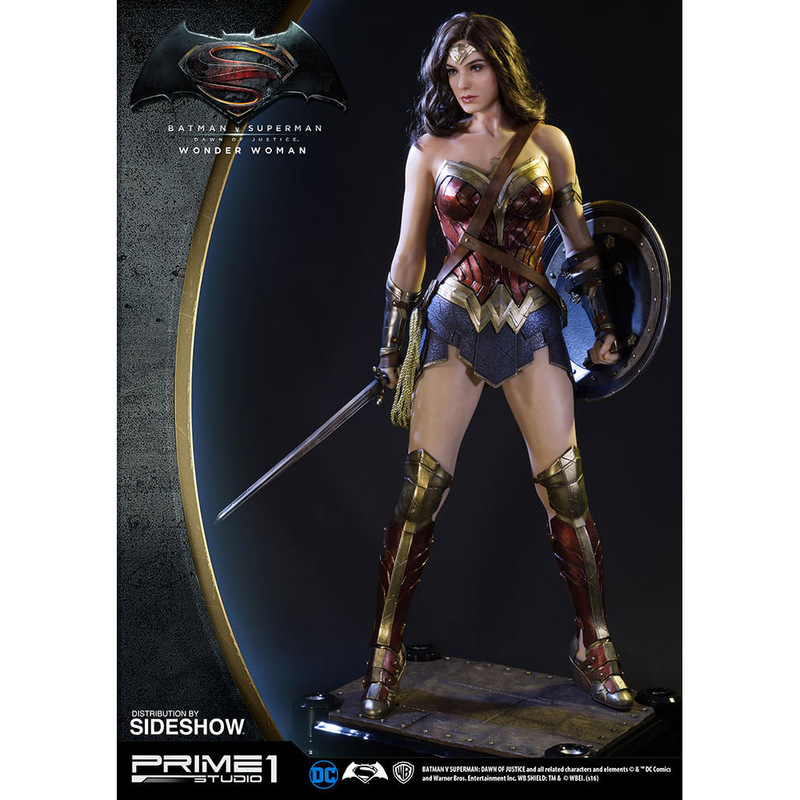 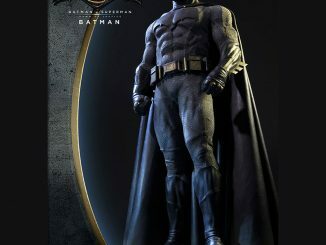 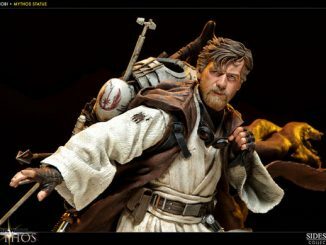 The statue features realistic hair for a lifelike effect, two emblems for display, and a LED spotlight function on the base. 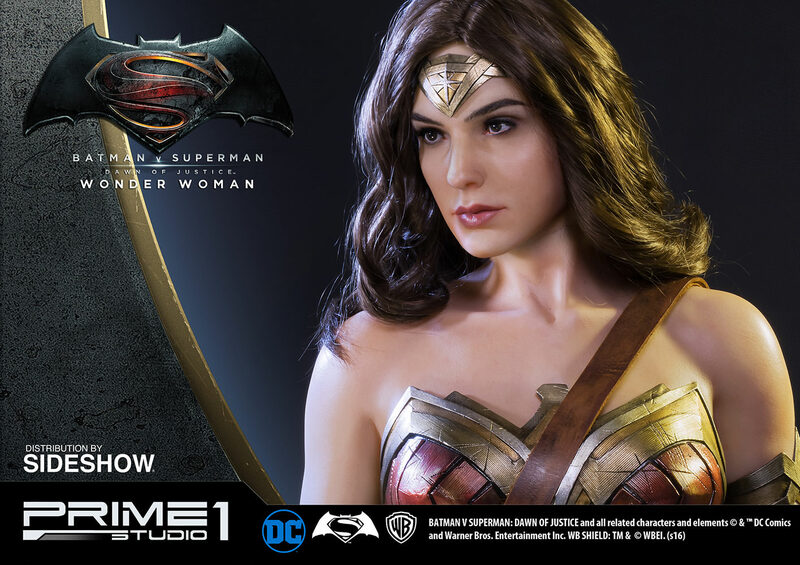 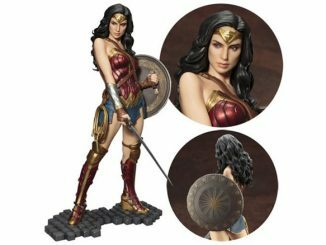 The Wonder Woman Polystone Statue will be available Jul 2017 – Sep 2017 but it can be pre-ordered now for $2,099.99 at Sideshow Collectibles.